These kids are seriously lucky. 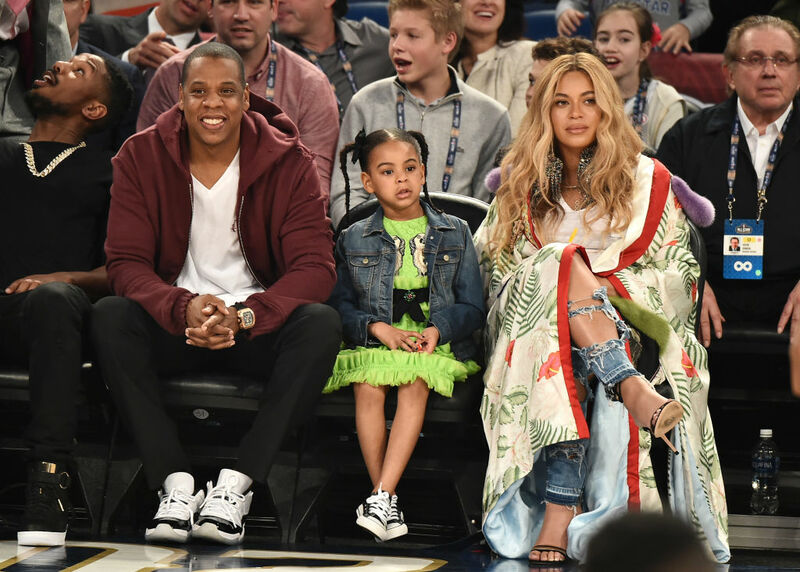 Beyoncé and Jay Z are sparing no expenses when it comes to their twin babies, it seems. According to Life & Style, the superstar duo have shelled out a whopping $500,000 on a brand new, ultra-modern "master suite-size" nursery for Blue's younger siblings. "Bey and Jay knocked out a wall between two bedrooms to create a master suite-size nursery inside their LA home," says a source. "The twins will have matching cribs and rockers and designer sheets totaling $30,000, plus a $50,000 state-of-the-art sound system." The 'Lemonade' singer has allegedly commissioned a $20,000 mural on the ceiling, complete with glowing stars. "It's incredible," says the source, "It's the entire galaxy above the nursery." The palatial room is also set to feature "custom walk-in closets, a fireplace, and a movie theatre." According to the publication, the pregnant star has opted for items in "gender neutral colours such as cream, gold, and earth tones", giving nothing away as to the gender of the babies. Meanwhile, Beyoncé recently made the dream of one of her teenage fans come true after surprising her with a FaceTime call. Ebony Banks, who was battling a rare stage four cancer, sadly passed away just days her wish was fulfilled by her idol.